The CBS series Pay Attention looks at how to retrain our focus and recapture our attention under the bombardment of technology and information that distracts us. 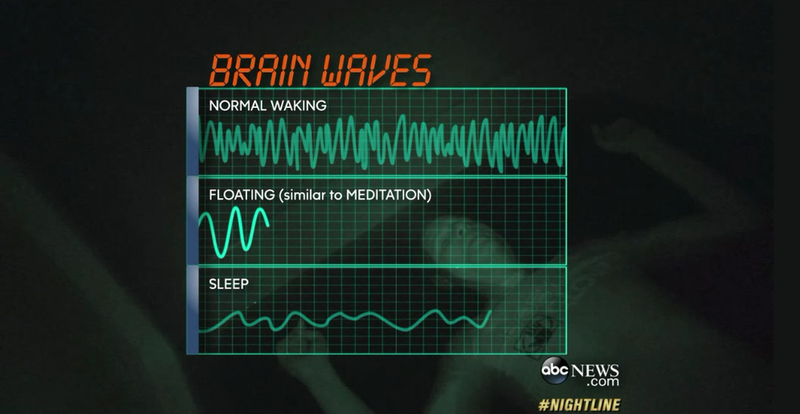 CBS host John Dickerson explores if sensory deprivation can short-circuit the noise. FLOATING - WHAT’S IT LIKE? A brief intro on what to expect from the float experience. Float Seattle founder Sean McCormick on how 1 hour in a float tank is the simplest and most effective way to reduce stress and pain while increasing well-being and developing your ability to meditate. THIS is why you should float. THIS is your tool for self-evolution. Nervous about getting into a sensory deprivation tank? Don't be. Sean's walk-through explains the process and what to expect. ABC's Neal Karlinski stops by Float Seattle to report on the resurgence of Sensory Deprivation Tank Therapy - now known as Floating. Watch to the end — Neal finds out for himself just how powerful a 1-hour float session can be. The short answer is nothing. You should do nothing for you first few floats. Well, you should breathe of course. Here, Sean shares some simple breathing techniques that he finds work for him. They're called Floatation tanks, Isolation tanks, Sensory deprivation tanks—and they're incredible. You have stress, floating in a float tank will help deal with it. You are in control of the floatation experience, and while it seems a little strange in the beginning, you'll see that is unlike anything else in the world. Podcaster and comedian Joe Rogan describes the whole float process and experience.